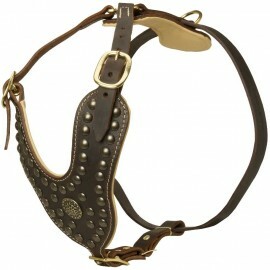 Decorative Luxury Dog Harnesses There are 10 products. 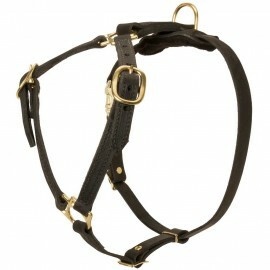 Designer dog harness for Labrador puppy. Provides comfort, safety and stylish look. It is made of natural leather and padded with felt on the chest and back plates. Rounded and stitched edges. Nickel-plated rustproof details. Spiked chest plate. 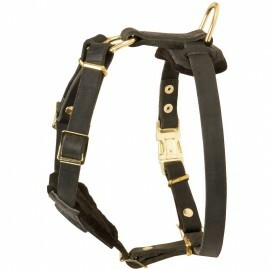 Perfect small leather harness for daily walking. 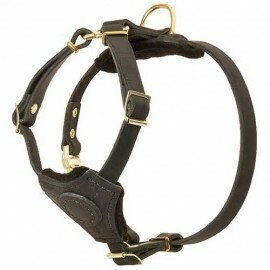 Soft, comfy and nice-looking leather dog harness for Labrador puppy easy walking. The finest leather and solid nickel-plated hardware. Felt-lined chest plate. Adjustable leather straps. Conical studs for attractive look. The best puppy harness for your little Lab! 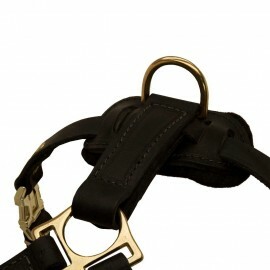 Small leather dog harness for Labrador puppy comfort, safety and attractive look during daily walking. Top quality leather and nickel-plated fitments. Handmade and hand stitched. Adjustable. Chest plate is padded with felt and decorated with shining round studs. 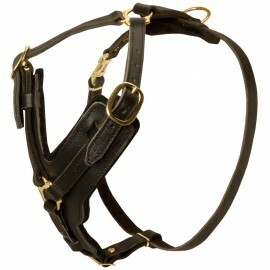 Excellent puppy harness for your small Lab.